The data records 40 variables, such as air pressure, humidity, cloud formation and sunshine hours. Met Éireann and the Central Statistics Office (CSO) have launched a climate data ‘rescue’ project. The CSO records daily meteorological data provided by Met Éireann, including historical data dating from the 19th century previously held on dated and vulnerable manuscripts. The project will improve examinations of correlating weather conditions such as drought and extreme rainfall over a period of 200 years. “We’ll be adding on 130 years of pre-industrial data, before people were flying and had cars,” said CSO spokesperson Gerry Brady in a telephone interview. “This will enable climatologists to benchmark pre-industrial data with today”. The project further aims to calculate the costs of damage, harm reduction, and adaption following major weather events. The Phoenix Park meteorological station is the first of many to add to previously devised information in the areas of population and agriculture. The station recorded the longest ‘absolute drought’ to date, which lasted for 32 days and occurred in 1947. An absolute drought occurs after 15 consecutive days of less than 0.2 mm of rainfall per day. The highest recorded air temperature in history is 33.3 °C, recorded at Kilkenny Castle, Co Kilkenny in June 1887. The lowest stands at -19.1°C, recorded at Markree, Co Sligo in January 1881. On an international level, the World Meteorological Organization set up the international data rescue project ‘I-DARE’, which provides information on climate data from across the globe in one place. This includes Ireland, with the Met Éireann and the CSO project expanding the range of Irish data. “While it is good to have these documents conserved, it is about what we do going forward to tackle climate change,” said Dr David Robbins, a lecturer at the School of Communications who covered research in media and climate change. 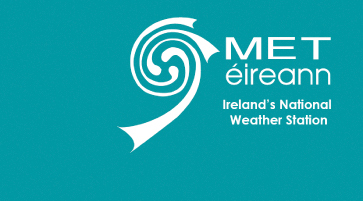 The metrological stations in Blacksod Bays (Co Mayo), Roches Point (Co Cork) and Valentina Observatory (Co Kerry) are to provide the next rounds of weather data. The data from the Phoenix Park station between 1832 and 1859 is expected to be fully recorded and checked by spring 2019.